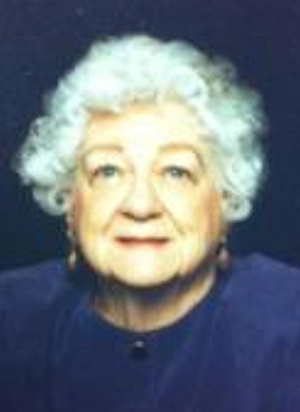 Obituary – James, Shirley Jean (Shaw) « Perry High School Alumni Association, Inc.
Shirley Jean Shaw James passed away peacefully May 6, 2014 in Chickasha, OK at the age of 88. She was born Jan. 7, 1926 in Chico, CA. She was the only child of L.A. “Bill” and Emma Shaw. At age 3, she and her father moved to Lowell, MA. She moved to Perry, OK when she was 10. She graduated from Perry H.S. in 1944. She attended Southwestern College in Weatherford and graduated from Wesley Hospital School of Nursing in 1947. Shirley and Charles E. “Bo” James were married in 1947 in Guthrie. Shirley worked as a private duty nurse, night nurse, and surgery nurse in Perry and Guthrie. Bo’s job with the Santa Fe Railroad took them to Edmond, Ponca City, and finally to OKC in 1960. In 1961, she started working at Baptist Medical Center as a floor nurse and ended her career in the burn unit. She retired in 1977 after 16 years due to her health. Shirley was a member of Grace United Methodist Church of OKC where she had many close friends. She loved tending to her flowers both inside and out. She had several beloved dogs who enjoyed long pampered lives in her care. She also had a special attachment to birds, especially cardinals. She faithfully would feed and water her backyard birds with premium birdseed. She was preceded in death by her parents; step-mother, Sarah; her husband of 46 years, Bo in 1994; daughter, Bonnie, in 2014. She is survived by her son, Bill and wife LaNell, of Chickasha; son David and wife Pam of OKC; half-brother, Harold Keep of CA; grandchildren, Ryan James of OKC, Christy and Carrie James of Lawton, Kathy and Nick Bidelspach, Sherry James of Stillwater, Angie and husband Mack Newman, Monica and husband Chris King; and Nancy Wolf all of Edmond; 9 great-grandchildren; brother-in-law, Ron James of OKC; 4 nieces; 1 nephew; and many beloved cousins. The family would like to especially thank Shirley’s dear friend, Pat Downing, for all her love, support and care. Thank you to the staff of Shanoan Springs Nursing Center in Chickasha for their exceptional care this past year and to the compassionate care received from Crossroads Hospice. Visitation will be 2PM – 8PM today at Buchanan Funeral Service. Services will be at Grace United Methodist Church at 10AM, Thursday, May 8, 2014. Memorials may be made to Grace United Methodist Church, Crossroads Hospice, or a charity of your choice.